The bright colors are wonderful to behold. But do they have some hidden purpose? Throughout the spring and summer, the deep green color of chlorophyll, which helps plants absorb life-giving sunlight, hides any other colors present in the leaves of trees. The vivid yellows and oranges of fall leaves are there, but hidden. 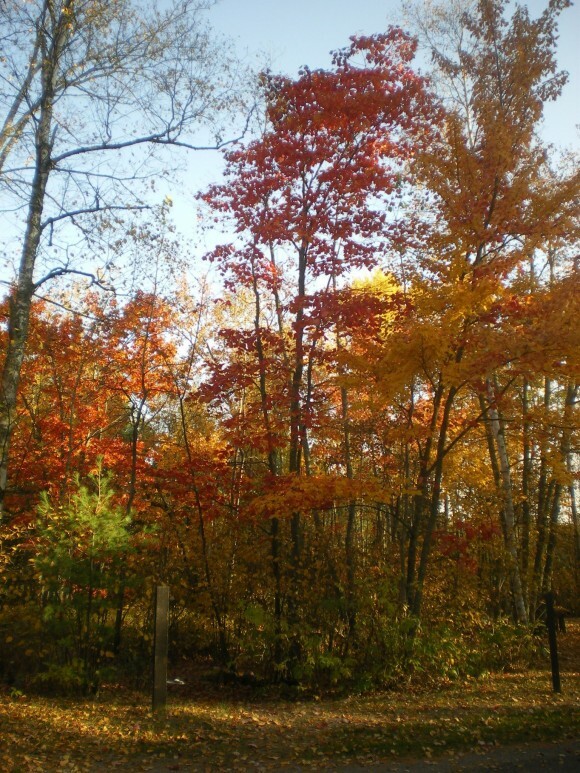 In the fall, trees break down the green pigments and nutrients stored in their leaves. The nutrients are shuttled into the tree’s roots for reuse in the spring. It’s then that the trees take on their autumn hues. 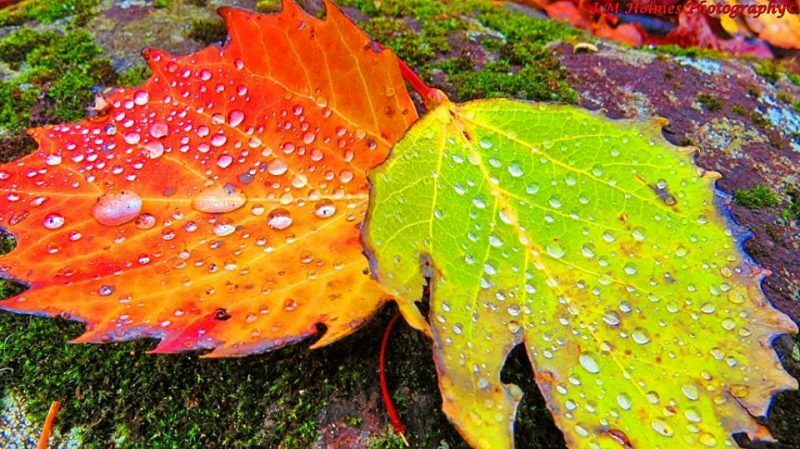 As leaves lose their chlorophyll, other pigments become visible to the human eye, according to Bryan A. Hanson, professor of chemistry and biochemistry at DePauw University who studies plant pigments. Some tree leaves turn mostly brown, indicating that all pigments are gone. 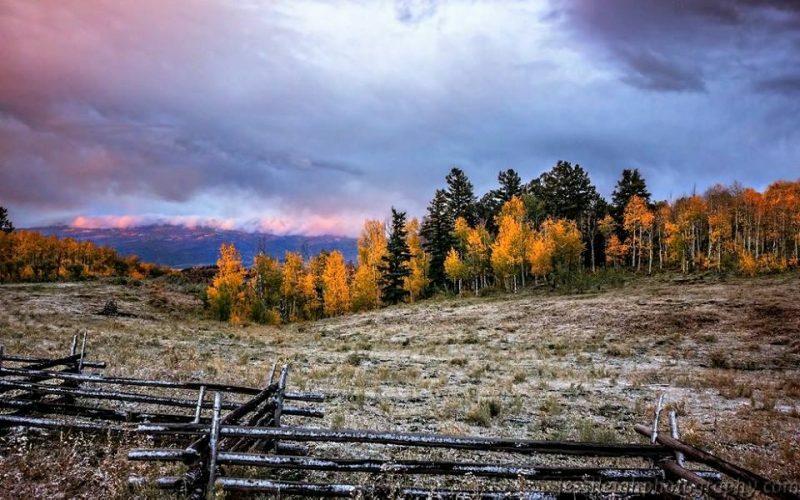 Autumn in the Colorado Rocky Mountains. Photo via Jessi Leigh. Autumn leaves at Hurricane Mountain in the Adirondacks, New York. Photo via John Holmes. 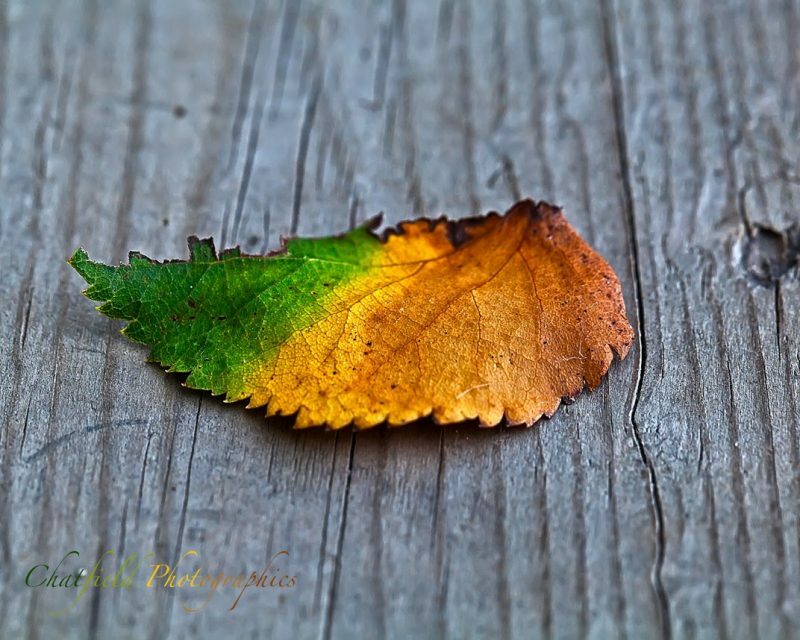 Autumn leaf in about mid-September from our friend Colin Chatfield in Saskatoon, Saskatchewan. 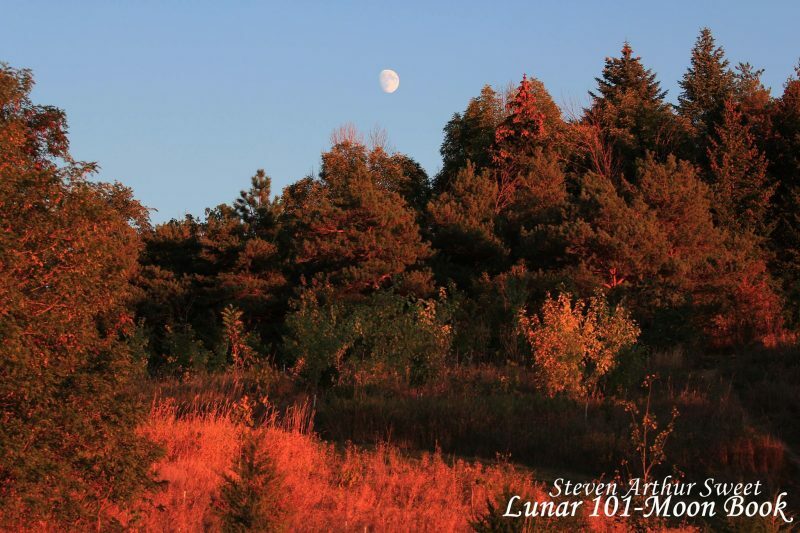 Steven Arthur Sweet captured this image at Centennial Park in Toronto, Canada. 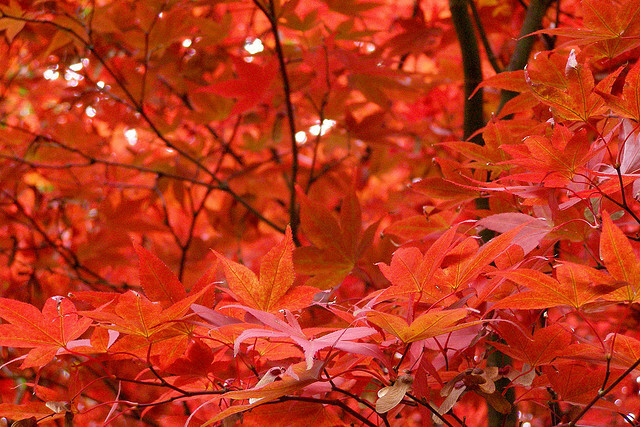 The red color is actively made in leaves by bright light and cold. 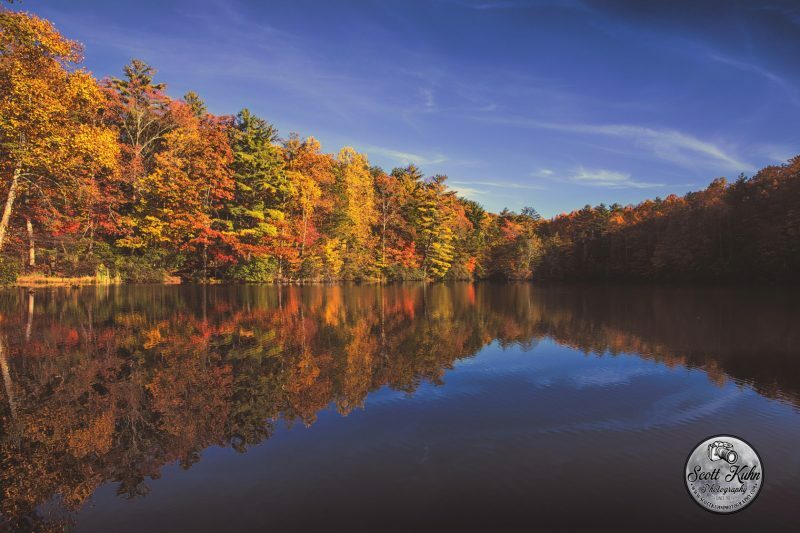 The crisp, cold nights in the fall combine with bright, sunny days to spur production of red in leaves – especially in sugar maple and red maple trees. 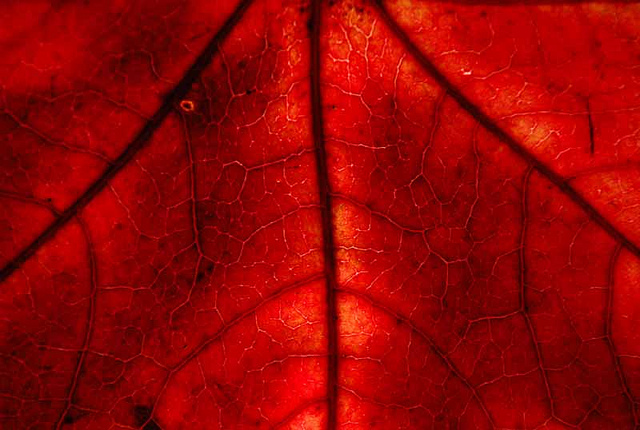 Burgundy leaves often result from a combination of red pigment and chlorophyll. 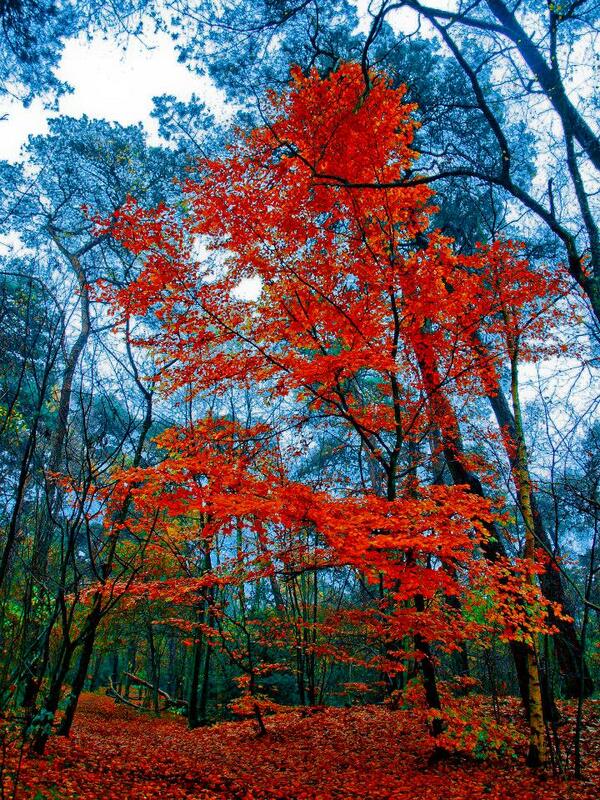 Autumn seasons with a lot of sunny days and cold nights will have the brightest colors. In some cases, about half of a tree’s leaves are red/orange and the other half green. Dudle says that results from micro-environmental factors – such as only half the tree being exposed to sunlight or cold. Hardwoods in the Midwest and on the East Coast are famous for good color selections. Some of the more reliably colorful trees, Hanson notes, are liquidambar trees (also called sweetgum) that turn a variety of colors on the same tree, and sometimes the same leaf. Ash tree leaves often turn a deep burgundy color. Ginkgo trees, although not native to North America, will feature an intense yellow, almost golden, color. A lone red tree against bare branches. Photo via Daniel de Leeuw Photog. The colors are doing something for the plant, or they wouldn’t be there, said Hansen. But what is the colors’ purpose? It’s an underappreciated fact that plants cannot take an infinite amount of sun. 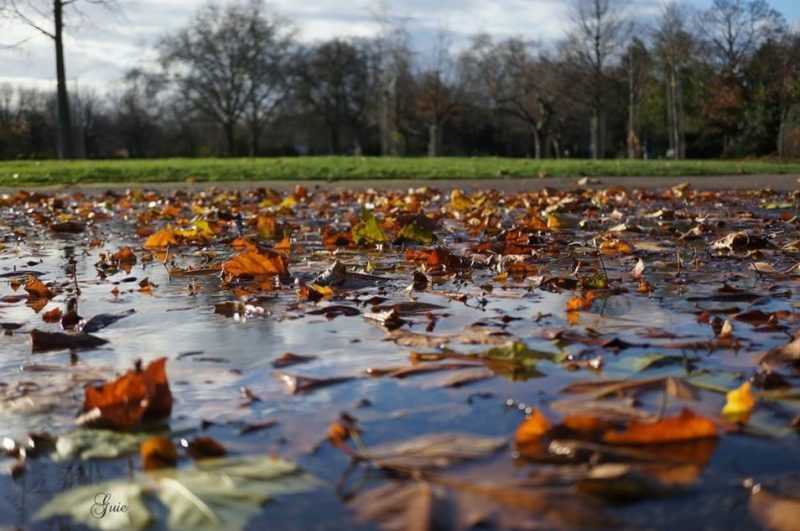 Some leaves, if they get too much sun, will get something equivalent of a sunburn. They get stressed out and die. Image via Tosca Yemoh Zanon in London. In some cases, a plant and insect might have co-evolved. One of the more intriguing scientific theories is that the beautiful leaf colors we see today are indicative of a relationship between a plant and insects that developed millions of years ago. However, as the Earth’s climate changed over the years, the insects might have gone extinct, but the plant was able to survive for whatever reason. Because plants evolve very slowly, we still see the colors. So leaf color is a fossil memory, something that existed for a reason millions of years ago but that serves no purpose now. Early October in Hibbing, Minnesota. 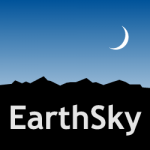 Photo via EarthSky Facebook friend Rosalbina Segura. 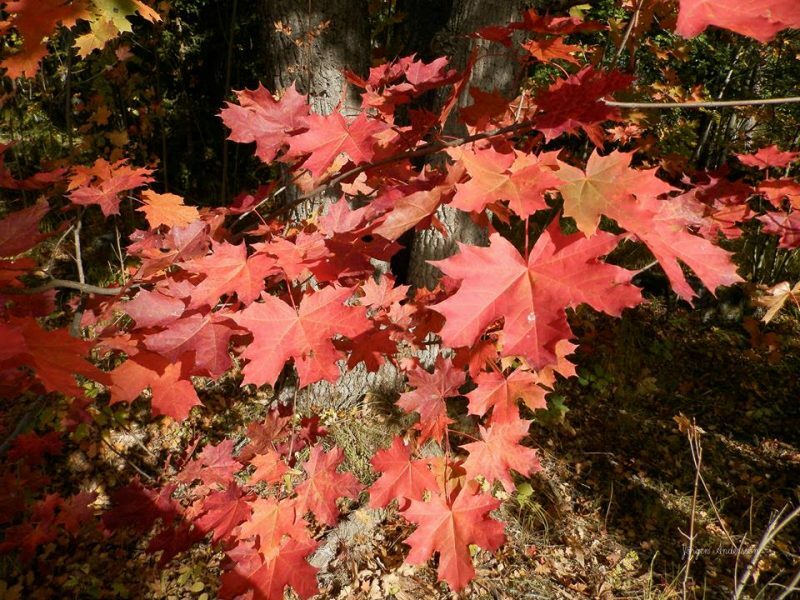 Bottom line: Biologists discuss why leaves change color in the fall.